Following our success in an invited competition, we are now working in collaboration with one of the UK’s leading universities. 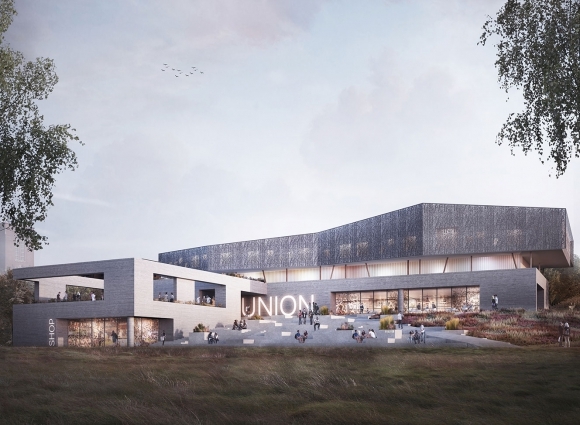 The competition brief called for a world-class Student Union facility and landmark building that enhanced the strong reputation of the organisation. 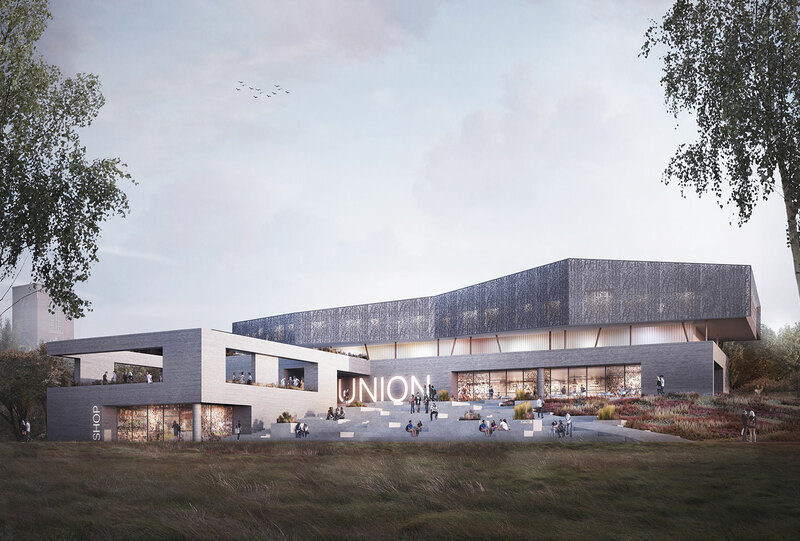 The Student Union plays an important part in creating and exhibiting the life and heart of the University, and is the first of many ‘transformational’ gateway projects planned for the estate. 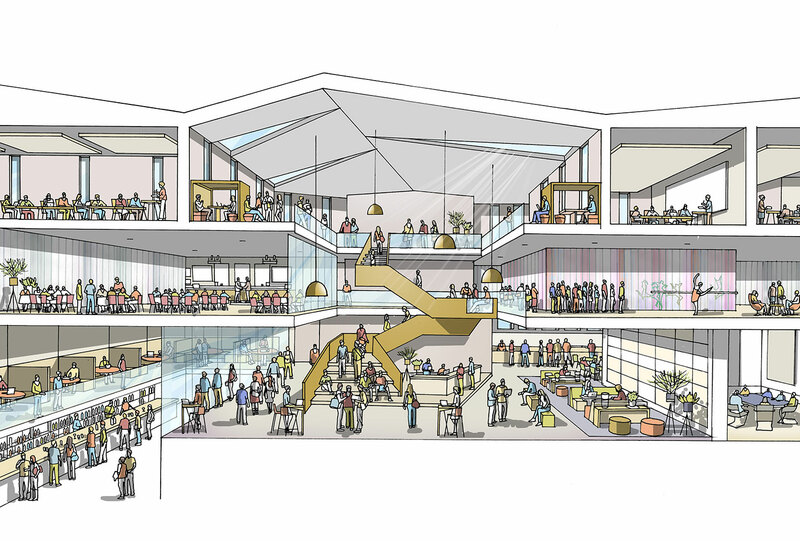 Our winning design focussed on providing a flexible estates asset that could adapt to the changing needs of future generations of students and the University community. 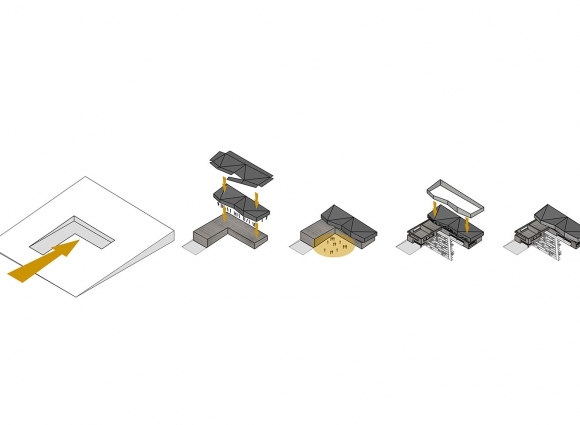 The most effective way of ensuring a lasting development is to design spaces that can be flexible and multi-use where possible, without compromising their primary function. We identified areas where flexible spaces could be used by a range of user groups and designed these to appeal to a wider audience. Our proposal explored the different spaces and uses, and how they are linked, to demonstrate how the building is designed to ensure different groups mix to create a rich and diverse community. 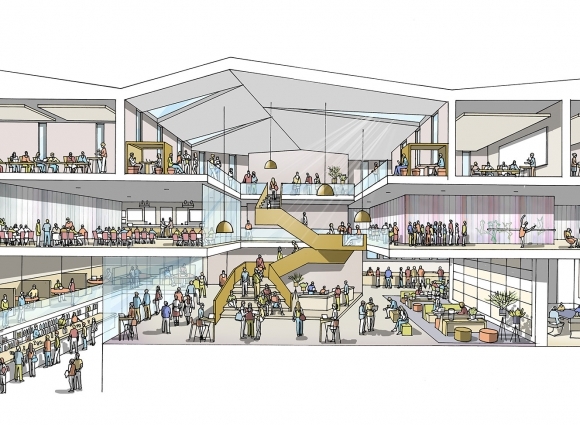 We were able to provide the University with a concept scheme that delivered the core brief under budget, therefore allowing for the more ‘aspirational’ elements of the brief which were previously thought to be unaffordable, to be able to be included within the scheme.